Not sure if anyone [..] has noticed this same thing, but my Upgrade Eligibility date on my AT&T account switched from 11/21 to 6/21 in the last day or so. I bought a 3GS on launch day last year, and my upgrade date read 11/21 since then. A few other folks in my office have noticed the same changes happening to their accounts as well. It is important to note here that AT&T has previously offered early upgrade paths for iPhone owners with both the 3G and the 3GS. 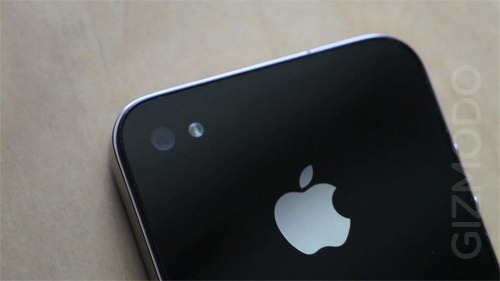 So is June 21st the day we will finally get our hands on the next iPhone? quite possibly yes, but that would require a change of tradition for Apple as all previous iPhones till date have all been released on Friday. June 21st is a Monday. Last month, Gizmodo got their hands on the upcoming iPhone’s prototype which was reviewed and ripped apart for the world to see. This might have spoiled the fun for most of us but lets hope that Apple would give that prototype a ‘slight’ refresh before officially unveiling it to public this June. The said phone is likely to feature video conferencing via iChat app, HD video recording, native Facebook integration for contacts, higher resolution screen and upgraded processor among many others. Mine changed to 6/19 from 11/??. It isn't necessary that the eligibility is exactly after 2 years of contract renewal. If you pay your bills every month and its fluctuating, like 100$, 120$, 80$ etc…you automatically qualify for early eligibility based on the total amount paid every month. I have seen this with my account and thats what I am guessing..Folks from AT&T can confirm this. 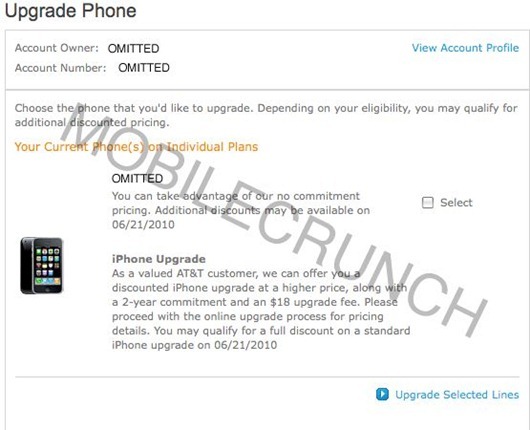 did anyone else notice that in the pic from the at&t ugrade eligibility page above it says “…we can offer you a discounted iphone upgrade at a HIGHER price…” mine definitely says a discounted iphone upgrade at a REDUCED price. so if it's discounted, how is it a higher price? oh and my date changed from 11/6/2010 to 8/6/2010…and it also says i've been a customer since feb 12 2008 but i bought the original iphone in october of 07! wtf att??? I was told by AT&T customer service that the primary phone holder, if multiple phones, would get the early buy option based on how much you spend a month. I got my original iPhone late June '09 and my upgrade changed from late November to 6/24, my wife's stayed the same date, no change. We pay $160/mo for two lines. So hopefully the lot stuck with 3.1.3 upgrade locking their IPhone due to baseband change to 05.12.01 will get an unlocker app if the dev team releases it.